Description: It’s 1949 and South Philadelphia bursts with opportunity during the post-war boom. The Palazzini Cab Company & Western Union Telegraph Office, owned and operated by Dominic Palazzini and his three sons, is flourishing: business is good, they’re surrounded by sympathetic wives and daughters-in-law, with grandchildren on the way. But a decades-long feud that split Dominic and his brother Mike and their once-close families sets the stage for a re-match. My take: Adriana Trigiani is back with a tale about a big family who live in South Philadelphia. It’s the post-WWII years and people are optimistic about getting back to finding the American dream and all that entails. Trigiani’s characters are relatable yet sometimes larger than life. They have important lessons to learn and are mostly grateful when they do. Most important was finding one’s true purpose and how to recognize it when it appeared. As serious as that sounds there are also laugh-out-loud moments. As in all of her novels, Trigiani’s attention to detailed descriptions left no question in my mind what the setting in any given scene looked like. 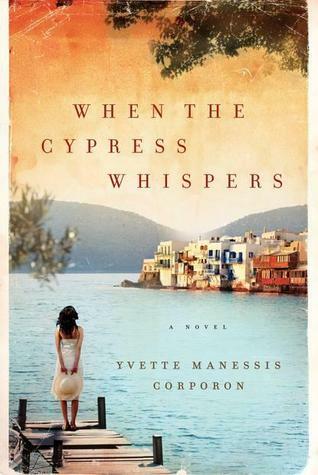 Her novels often seem cinematic to me and I’d love to see this one on the big screen. With a nod to Shakespeare and Italian operas, Trigiani has written a very heartfelt and entertaining novel. I enjoyed every page. 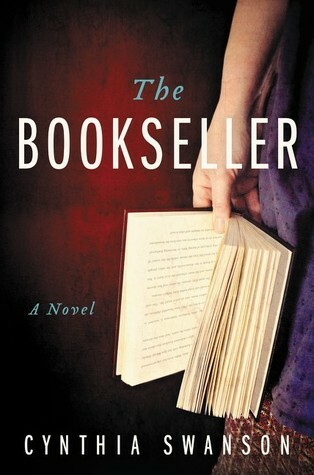 Today I’m pleased to welcome Cynthia Swanson whose debut novel The Bookseller was released last week by Harper. I hope you enjoy Cynthia’s topic as much as I did and if you’re a US reader you’ll be happy to see a Giveaway at the end of the post. It was 10 o’clock on a Tuesday morning, and I was at the YMCA. As I pounded away on the StairMaster, I thought about how the only people at the Y at this time of day were like me – mostly moms of young kids, with perhaps the random retiree thrown in the mix. How did this happen? Not so long ago, I was a childless, single woman in her mid-30s, with a successful freelance writing career and plenty of time to indulge in my passion for writing fiction. I lived alone in an adorable, historic bungalow in a trendy area of Denver. How had I gone from being that woman to being someone I barely recognized – 45 years old, married, and the mother of three? Instead of that cute bungalow, I now lived in a ranch house in a neighborhood chock-full of families. I squeezed in paid writing projects here and there, in a weak attempt to maintain some semblance of a career, while mostly volunteering, taking care of kids, gardening, and running a household. Writing fiction felt like a thing of the past. Along with time to read, aimless drives just for something to do, last-minute movie dates with friends, and drinks after work, creativity had gone right out the window. But had it? While the StairMaster took me higher and higher to nowhere, I considered the possibilities. How can life be transformed so quickly? How does one random, life-changing moment convert a woman from the person she thought she was into someone who – some days – she feels she barely knows? And what are the repercussions if that life-changing moment doesn’t happen? It was the seed of a story idea. Maybe, I thought, it was the seed of a novel. Pre-kids, writing fiction was an enormous part of my identity. I had been writing stories for as long as I knew how to put pen to paper. In my 20s, I dreamed (who doesn’t, in their 20s?) of being famous for my creative work. I wrote short stories and hammered away at a novel. I high-fived myself when my short fiction was picked up by literary journals; I was ecstatic when one of my stories was nominated for a Pushcart Prize. I had talent and ambition, I told myself – not to mention plenty of time to read, write, and dream. There was no reason I couldn’t make those dreams come true. But life went on. I moved from Boston to Colorado. I published more stories; I ditched my first novel and began writing a new one. I changed career paths from marketing to technical writing, and eventually I started freelancing, which provided more flexibility for writing fiction. Around the time I completed that novel and began querying agents, I met my husband-to-be. Before long, we had a bustling household with three kids – and the manuscript of my novel, for which I had received a few encouraging replies from agents (“Nice, but not for us.” “Keep writing! Good luck!”) but no offers to take me on, was tucked into a filing cabinet and rarely considered. There was a nagging part of me that wondered if I’d ever write fiction again. So that day at the Y, as the StairMaster slowed into cool-down mode and I wiped the sweat from my brow, my excitement grew. As with most of my fiction, the concept started with a bit of reality that could be transformed using invented circumstances and details. If I want my characters to seem like real people and not mannequins, then the emotion of the story has to be real – it has to be something I’ve experienced, or at the very least understand. On the flip side, to create a compelling narrative, I make up plenty of the finer points and most of the plot. I reflected on this for few weeks, without writing a word. I just let the ideas stew. But eventually I began to write. I liked the concept of a character caught between a dream life and real life, with the two lives being vastly different because of some small variation in circumstance. I wanted to explore how quickly life can turn into something unexpected, just by the simplest change of conditions. It was, I realized, a Sliding Doors type of story. But I needed this to happen to a specific person. Although I have never owned a bookstore, I’ve spent plenty of time hanging around in them – especially the independents, from hole-in-the-wall used bookshops in Cambridge, Massachusetts to the multi-leveled Tattered Cover here in Denver. I have a couple of bookselling relatives and friends, and their lifestyles have always fascinated me (and made me a tad envious). 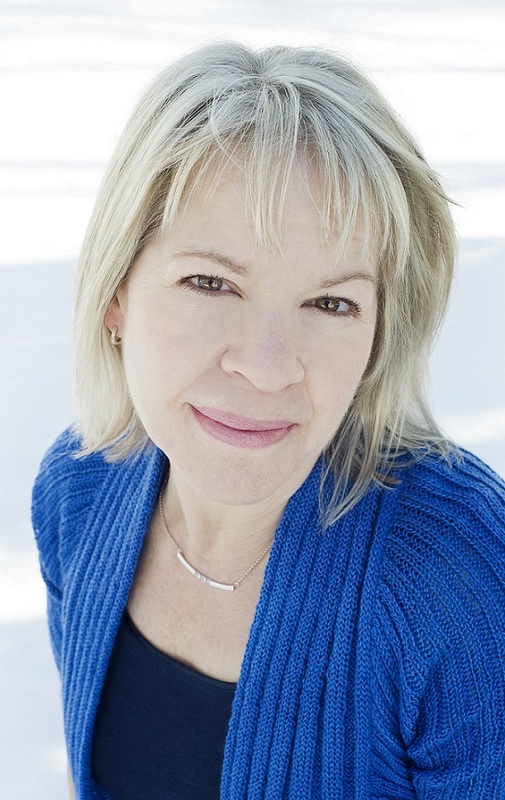 Selling books seemed the perfect career for Kitty Miller, my 38-year-old, single-gal protagonist. Thus The Bookseller was born. I originally set the story in the present day. But because it revolves around this idea of chaos theory – one small incident that cascades into an entirely different outcome – I quickly realized that a 21st-century Kitty would approach the whole situation of living one life while dreaming of another in a completely different manner than would the Kitty of an earlier era. If this happened in the present day, I thought, Kitty would be quick to Google every aspect of her dream life. She’d probably be a bit cynical, and she’d be reluctant to go with the flow – something I needed her to do for the story to progress. I’ve always had a fascination with the 1960s. When I started writing The Bookseller, I was also doing design and renovation work on our 1958 home, as well as giving suggestions to others who were remodeling their mid-century houses to be more modernized while remaining true to the era. Like writing, design has always been a passion of mine. Setting the story in 1962-63 was the perfect avenue to unite these interests. With the lifestyle I now had, writing happened 15 minutes at a time. Yep, I wrote the first draft of this book in absurdly miniscule 15-minute increments. I could not write in the evening – my hat’s off to those who can be creative after a long day of obligations, but that’s not me. Instead, writing occurred in stolen daytime moments, sandwiched between other responsibilities. I learned that if I could find 15 minutes to write, I often could carve out 30 – or 60, or sometimes more. The house was messier and the dinners simpler. But it was all good. Working on that first draft, I did little revising. My older children, twins who were six at the time, were learning to read. I gave them advice that teachers often give struggling new readers – when you come across a word you don’t know and can’t figure out, skip it. Keep going, and go back when you’re ready, because later context often clarifies that which previously stumped you. The same counsel applies to writing – or any creative activity. If you’re stuck, make a note of the problem and move on. The resolution will be clear when the time is right. After six months, I had a 50,000-word draft – approximately half the length the manuscript ultimately would be. That first draft was riddled with holes and questions. Much to my satisfaction, in subsequent drafts those holes filled in. Problems resolved themselves – sometimes by eliminating a minor character or side plot, sometimes by creating a new scene or dialogue, sometimes via research. So, great, I finished it. Then what? Well. One of the benefits of being older when you embark on a creative project is that you likely have more resources at your fingertips. You know people – or if not, at least you are confident in your ability to find people. I re-involved myself with the creative writing scene in Denver – a community I had been active in during my 30s but had become distanced from after having kids. In doing so, I discovered something unexpected, but very welcome: when it comes to writing, “older” does not equal “washed up.” Quite the contrary: attending readings and literary events, I noticed that while there were still hotshot young fiction writers getting lots of attention, most of them seem focused on YA and dystopia fiction. It was the older writers – the thirty- and forty- and even fiftysomething authors – who were putting out books about real, adult life. These were novels that readers bought – and remembered, and discussed in their book groups, and told their friends about. Older writers – even first-time novelists who were well past their 20s when their first books came out – were garnering respect in the literary world. They were using their experience and wisdom to turn out great fiction. After I deemed The Bookseller complete, I hired an editor – not for a line-by-line review, but rather to help me determine if the novel was marketable. She gave me great advice, and following on the heels of that, I found an agent and subsequently a publisher. The Bookseller will hit bookstands on March 3, just a few weeks after my 50th birthday. It’s not an easy process, nor a speedy one. But there is serenity that comes with creative endeavors at this age. While the outcome is astonishing, so was the process. I’m proud of the result, but I’m equally proud that I took it on in the first place – and that I finished the damn thing. What I’ve learned is that in creative work – as in life – it’s not a heady, all-encompassing rush of perfection, but rather one step at a time that gets the job done. My take: Douglas and Connie have been together for almost 25 years. They’re about to go on a European tour with their 17 year-old son when Connie tells Douglas she may want to leave him. This seems to come from nowhere and Douglas isn’t sure what to do. She wants to go on their holiday – making him think he can convince her not to leave him when they return. What follows is a road trip that had me laughing, wincing (at the things Douglas says to his wife and son), and feeling quite sad for the three of them as they near the end of the trip. The one I felt the most sympathy was their son, Albie. I won’t spoil by saying why but suffice to say, being the child, he suffered the strongest emotional toll. Most novels I’ve read about marriage and children have been written by female authors. 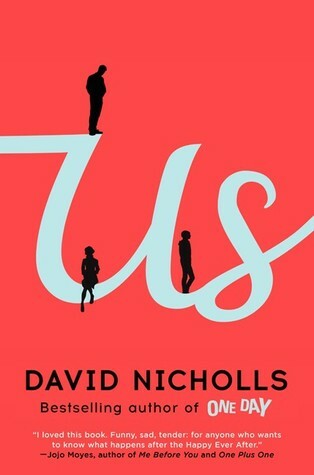 I was impressed by the emotional tone David Nicholls gave his story. It rang true. The story is told from Douglas’s POV and alternates from when Douglas and Connie first met 25 years ago to present day. My biggest quibble is the length of the book – 400+ pages. It seemed to drag a bit in the middle – maybe I’m in the minority on this issue. I’d recommend Us to fans of David Nicholls and novels about marriage and family.